At Mac Group Stands we have renewed our corporate image adapting ourselves to the current needs of the company and the latest design trends. As expert exhibition stand builders we consider that is essential to maintain an image in concordance with our ideals and values. Our new visual identity is minimalist, and it represents a rupture respect the previous one. The new identity has already been implemented in all the elements and services of the company. As professional exhibition stand builders, at Mac Group we know that having a corporate image according to the values ​​of the company is essential. 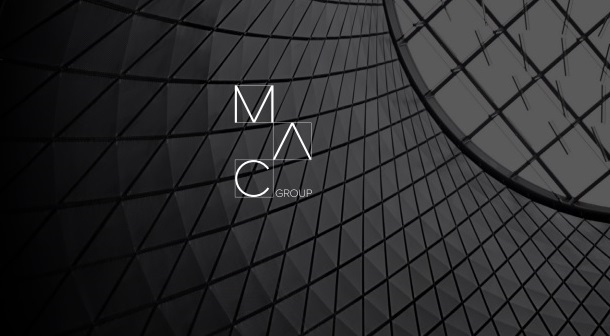 The new visual identity of Mac Group shows better the personality of our company, that is flexible and powerful, presented by using a range of soft and fresh colors. 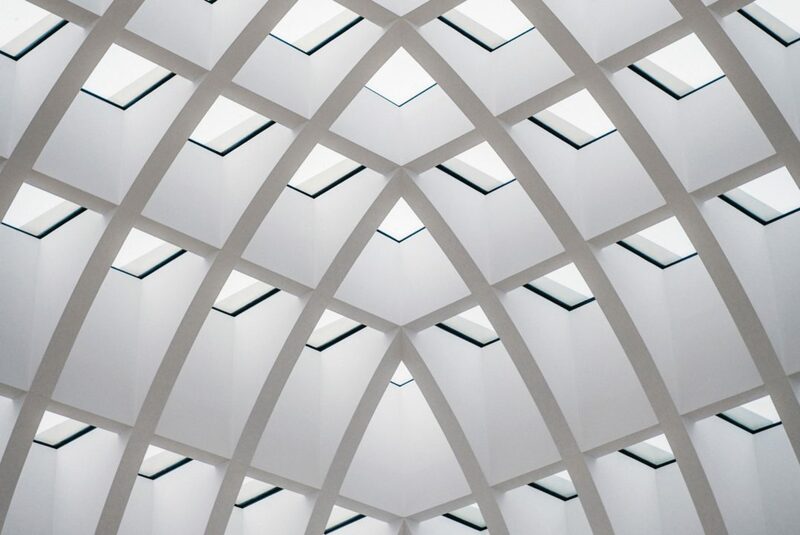 As expert exhibition stand builders, we consider essential some elements such as light, colour, economization of space, quality materials, design and furniture, among others. That is why we take care of every single detail, not only as an exhibition stand agency but also in everything that surrounds our work. At Mac Group we take care of our daily life, creating offices and spaces using personalized designs that show the values ​​of a leading exhibition stand builders company and where we can serve our customers in a pleasant and welcoming environment. We take care of our personal image and of our employees. We have a great team of experts and professionals of different fields involved in the exhibition stand desing from Project Managers to architects, including experts in art conservation, graphic designers and all kind of technicians. For us, the people who make up our company are the most important of it, since what our team does is what our brand communicates. We have collaborated with the best professionals to create a corporate image of our company that conforms to our principles and represents the strength of our brand as exhibition stand builders. At Mac Group we believe that expertise and experience, along with creativity and quality, provide the result we seek: an image that represents who we are, what we do and how we do it, as exhibition stand builders. Our logo is like us, clear and direct. It is made by essential elements and dismisses all that is superfluous. It shows the power and strength of exhibition stand builders in some simple lines and its geometry broadcasts our work: our logo is assembled and disassembled effectively and precisely, just as our team works with the exhibition stand design and build. 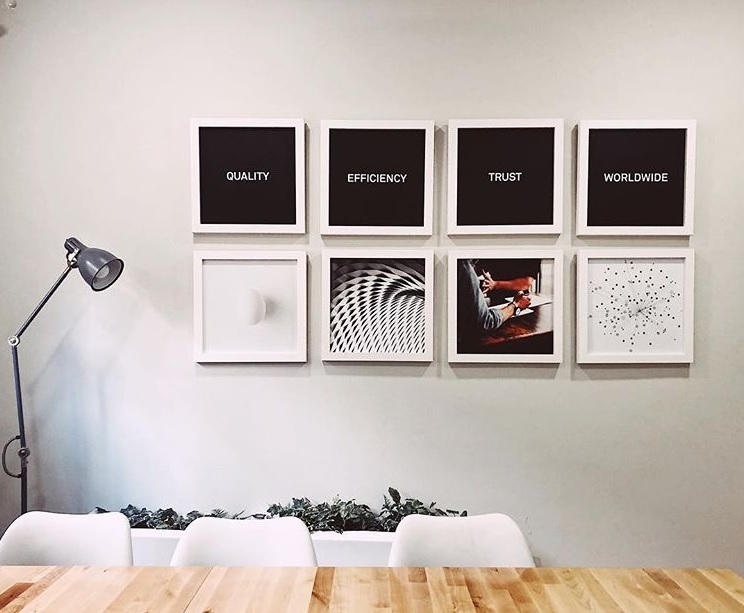 Consistency is one of our main pillars of work as professional exhibition stand builders, which means not only into creating a powerful corporate image, but also bringing that identity to all areas of the company. Because of this we have created a new website, simpler and more powerful, in order to give more specific and detailed information to our customers. At Mac Group we believe that, as exhibition stand builders, we must offer our products and services in an easy and accessible way, that is the reason why we explain our values ​​and the method of work we follow through projects carried out. For us it is important to show our successful works and projects in the exhibition stand builders field, since these are the best example of the work that we do in the exhibition stand design and build area. The message is fundamental and we know that. At Mac Group Stands we are very clear about the message we want to convey and we translate it into everything we do. At Mac Group we fully dedicate ourselves to exhibition stand design and build, but we not only are exhibition stand builders, we go much further. At Mac Group we have been building strong relationships of trust with our customers for years, with a very high level of success. When a client decides to carry out a project of exhibition stand design and build, they discover that we have a great domain of elements such as control of working times, logistics, production, design, quality of service, communication and final results. Because of all these reasons, very often they choose us again for their future projects. The more we know our customers, the better we can choose the solutions that best solve their needs in each exhibition stand design and build process, so that our client feels comfortable and relaxed during all working phases and the result is always the best and as precise as possible according to their brand and what their company represents. At Mac Group Stands we are professional exhibition stand builders and we manage quality corporate events around the world. Contact us to know more about us!